DJ Tony Drake's New Animated Series Wants To Fill Void Left By "The Boondocks"
It’s widely recognized that the music business is — at times — fraught with shady practices that tend to favor everyone except the artist. One Baltimore area resident, DJ Tony Drake, is combining all his various passions into a singular animated expression of A Tribe Called Quest’s industry rule #4080: record company people are shady. 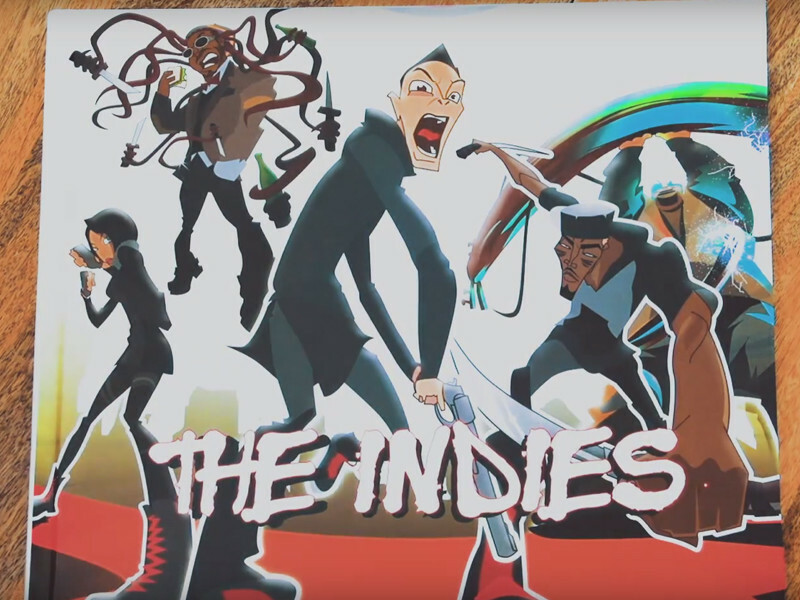 Tony Drake’s upcoming animated series, The Indies, aims to shake up the animation and music industries simultaneously, filling the void that shows like The Boondocks and Afro Samurai left behind. As he told Afropunk recently, the show’s inception came from the realization that there wasn’t any animation that spoke directly to the Hip Hop community without attempting to exploit the culture. The new 2D animated series follows the misadventures of hungry up-and-coming rapper Slick, who gets overly gassed and signs a recording contract without reading it. Unfortunately for Slick, he failed to realize labels are not only home to mega stars but also serve as fronts for hitman-for-hire services. Throughout the series, Slick works to get out of his contract by completing missions and working vigorously on finishing his debut album. Along with the animation, there is a heavy musical component. The soundtrack is comprised of original songs recorded at Grammy Award-winning House Studios DC. Each episode almost acts as a mini-mixtape. The show is currently getting investments via Kickstarter. Thus far, the support for the series has been tremendous. Check out the promo video for the show below. Learn more about The Indies and its creator via the Reddit AMA he did last week.